Beats by Dr. Dre Studio 2.0 delivers a personal musical experience. Truly individualized listening sessions are created by the company's DSP software in conjunction with music industry gurus, like Dr. Dre himself, to help emit emotions producers want listeners to have. The audio equipment can be worn by anyone with the expectations of great audio quality, but those listening to hip-hop, dance, electronic, and jazz music may enjoy the experience more. Listeners will benefit from booming bass on the move without worrying about wires thanks to Beats by Dr. Dre Studio 2.0 headphones. Sporting soft, comfortable, over-the-ear cups, they are especially useful while exercising, as there is no chance of snagging a stray cable. The Dual-mode, Adaptive Noise Cancellation (ANC) technology allows the user to hear everything clearly even in the noisiest environments. ANC technology automatically recognizes noises in an area and blocks them out so you only hear what you want to hear. The ANC-only mode gives you the ability to block out everything but the music, which will make you feel like you're in your own studio. The technology used in this model makes it a favorite of artists, teachers, and many others that understand how important it is to hear every beat and note when recording or mixing a song. The rechargeable battery ensures there is no need to worry about wasting cash on disposables. The battery lasts for around 20 hours when plugged in and 12 hours if used wirelessly. With so many choices, it is perfectly suitable for operating almost a whole day without needing a recharge. You'll never have to guess how much battery you have left because there's a "fuel gauge" is built right into the unit. It measures just how much battery is left. The headphone battery can be conserved by turning them off and removing cables when not in use. 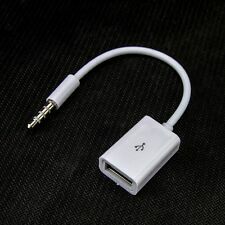 You also don't need any special adapters, as you can plug in the studio equipment just about anywhere using a USB cord. Comfortable, economical, and packed with features, these accessories are sure to please the most demanding audiophiles. The technical features offered with these headphones make then innovative and easy to wear. The Beats 2.0 have an impedance of 35 ohms and a sensitivity of 100 dB. You can easily pair Beats with any Bluetooth device. When Bluetooth is activated, you should have a 30-foot range to move around. If you use the Bluetooth with your Android or Apple phone to activate your headphones, you can also take phone calls. Simply take hands-free calls using the headphones built-in microphone. With phone calls, you should expect the same great quality sound as you do when listening to your favorite music. When you order Beats by Dr. Dre Studio 2.0, you'll receive device cables and a hard-shell carrying case. The case has a built-in carabineer clip. The clip makes it easy to carry and store the headphones in a safe place. The equipment folds down to fit in the case perfectly, so they're ready to deliver sound anytime you need it. item 3 Beats by Dr. Dre Studio 2.0 WIRED Over Ear Headphones RED, mint condition. 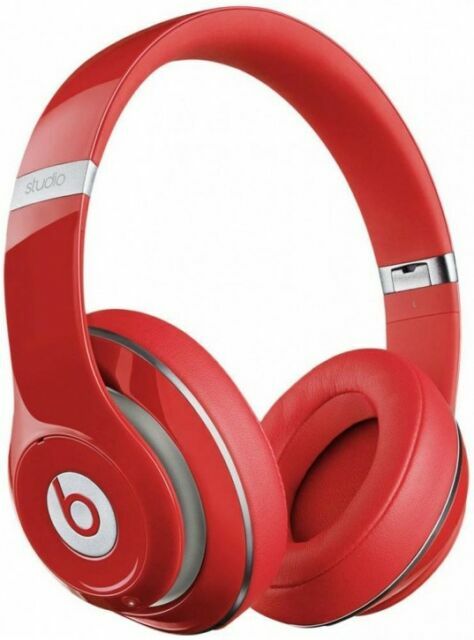 -Beats by Dr. Dre Studio 2.0 WIRED Over Ear Headphones RED, mint condition. Good headphones but expensive shipping. Really like the headphones, at first didn't work due to needing new batteries. Just felt that shipping was over the top. Did not realize price of shipping until after won. Thought they would fedex or overnight but not were sent just regular post so clearly not 13.50 to ship. Just bought another pair and am only paying $5 to ship them. I got earraped a dozen times by a hissing sound and what soundes like a very tiny explosion 😠. 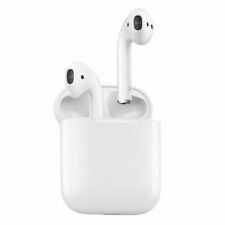 Well, the sound quality is great and the comfortness is good but, for the price which is considerable, I didn't expect flaws even by my standards. Furthermore, okay erratic headphone. Excellent sound, folds up nicely into (included) case. Only works in noise cancelling mode - ie, on battery power. Not a huge deal, long life battery, but not user replaceable. Be nice if it worked off an AAA. These are a great pair of headphones. They are of excellent quality. Beats produce high definition sound. They are great for listening to music and even better for playing back audio for the productions that I do. They have become my favorite pair of headphones. They are light weight and are excellent for travel since you can fold them up. They also come with great accessories so it makes life easier without having to go and purchase extra things for them. It is rare that you can buy something these days without having to buy the accessories separately. The price is reasonable as well.